Summary: In Ravka, there are non-magical humans who end up in the army, and there are magical people called the Grisha, who have a number of different abilities like controlling wind or fire or mechanical abilities or glamouring. Together, Ravka's leadership and forces work to fend off enemies to the north and south. They are also cut off from the coast by a swath of darkness called the Shadow Fold, which is inhabited by dangerous creatures. The Shadow Fold has been there for centuries, and its existence ensures that Ravka remains divided and vulnerable. Enter Alina Starkov. She is an orphan, with no one except her lifelong best friend/secret crush Mal, and together they prepare to make the dangerous journey across the Shadow Fold to the coast. 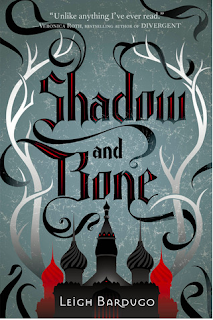 But when an attack reveals a rare power that she hadn't know existed, Alina is taken away by the Darkling (mysterious, seductive, dangerous, and the most powerful man in Ravka) to the palace to join the Grisha and to work on her power. Alina is drawn into palace life, training by day and attending banquet dinners by night. And she is especially drawn to the Darkling, who seems to be paying extra special attention to her. But there are forces and plans at work that involve harnessing her tremendous power, and Alina quickly realizes that things are not what they seem. The more she learns about the world of the Grisha, the less sure she is about being one of them. 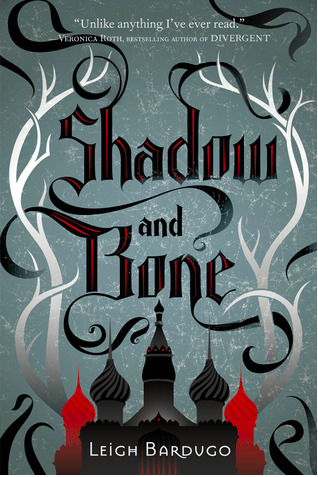 It's the first book in the Grisha trilogy, and for me, it read like a long introduction to the universe rather than its own installment. Usually book 1 of a series can work as well on its own as a standalone, but by the time I got to the end of the book, I actually felt like we were just getting started. So, what I mean is that initially, the pace was a little slow, but eventually it picked up and I was engrossed, and I wanted more when it ended. Alina is quite your typical Chosen One heroine, which is not a criticism. Like many similar stories, this book was very much about her discovering herself and figuring out this new environment she's been thrown into, with brief hints of the greater significance of her special power and how she fits into the greater world of Ravka and its politics. I'm expecting that in book 2, she will make the decision to stand up and fight. (For example, the first books of Divergent, The Hunger Games, Red Queen, An Ember in the Ashes, etc., were about the protagonists' personal arcs and how they're figuring out their places in the world, and then the second books are about the mess they're all in, and the decision to stand up and participate.) The point is driven home over and over again how ordinary she is, how not beautiful she is, how not special she is, but of course, she IS someone special, partly because of her power, but also because making the decision to take a stand is a special thing. In a world where it's much easier to keep your head down and just go with the flow (and that's EVERY world, not just the book's), going against the odds to do the right thing is remarkable. I definitely have to say that I found the Darkling to be a really interesting figure, and I hope we learn more about him. Without spoiling anything, I will just say that I don't blame Alina one bit for being fascinated by him. (Hell, I'd follow him into a dark hallway too!) He's a little less ambiguous by the end of the book, but I hope that he continues to be at least somewhat of a mystery (somehow!) throughout the last two books. Onward, ho! Onto book 2.